Every year, around hundreds of Indian students board international flights with an aim to study abroad. Among various top destinations for education, UK has occupied a top place and in these recent times, an imminent rise in Indian students count moving to the country has been observed. The reason behind this rise in Indian students flocking to Britain is; the government’s decision to offer scholarships for Indian students and lure them to study in United Kingdom. With affluent history, industrial growth and being abode for numerous prestigious universities, the United Kingdom has become most sought-after destination for education. 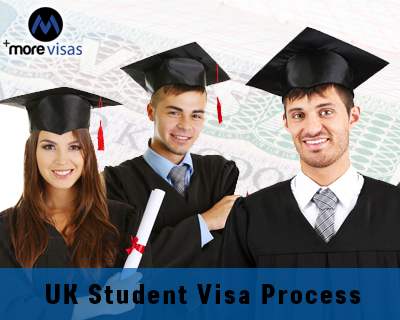 Internationals students who would like to study in UK for better career prospects must hold a student visa. This student visa enables overseas students to dwell and study in the United Kingdom for certain period of time. The government has introduced various types of student visas for UK. Individuals need to choose an appropriate visa based on the type and duration of the course they wish to pursue. The following are the three types of student visas for Great Britain structured by the government for overseas nationals. A Student visitor visa is designed for international students who would like to pursue short-term courses, such as English language course or a training course in the United Kingdom. This visa allows individuals to stay 6 months – for any short course subsuming English language courses or 11 months – an extended visa for English language courses only. Tier 4 (Child) Student visa is structured for overseas students whose age is in between 4 and 17. Under this visa, international students can stay in the Britain till the completion of their course duration. After the completion of the course also individuals can stay for additional 4 months. Tier 4 (General) Student visa is for foreign students whose age is more than 16 years and want to pursue their full time course in the United Kingdom. Individuals should come to Great Britain, prior to the start of their course and they can reside till completion of their course. International students must comply with certain requirements in order to obtain student visa for UK. Studying in the Britain is once in a life time experience. So, don’t tarry! Study in UK for a brighter future.